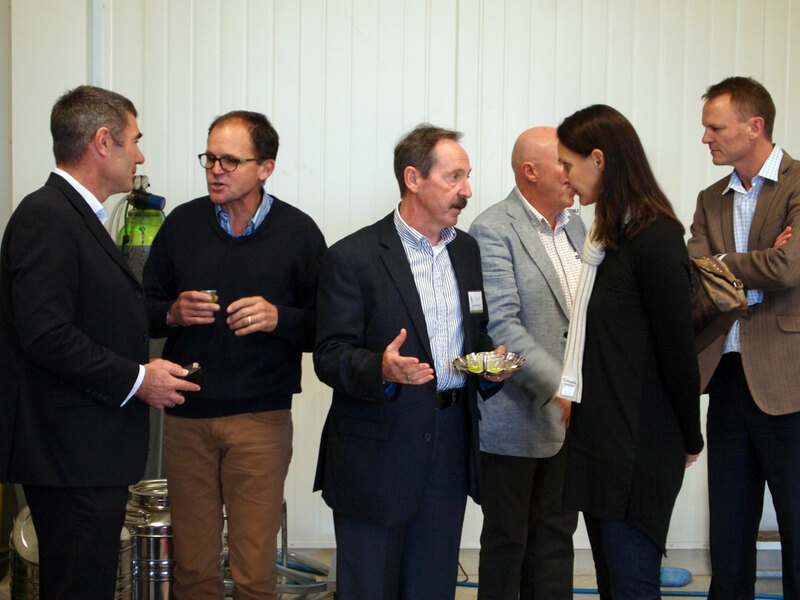 Our new pressing facility and retail shop in Arbor Place, Greytown was opened by the Minister for Primary Industries, Hon Nathan Guy, on Sunday 25 May 2015. Other VIPs in attendance were the Minister’s family, along with MP for Wairarapa, Alastair Scott, Olives NZ President Andrew Taylor and Chair of Greytown’s Papawai Marae, Paora Ammunson. A large turnout of local growers as well as visitors from Hawke’s Bay and the Kapiti Coast were treated to a ‘live’ demonstration of TOP’s press, from loading of freshly-picked fruit through to the finished product from the separator. This entry was posted in Uncategorized on 25/05/2015 by ponatahi.